For a few years now I’ve known about Stadham Corp of Maryland. 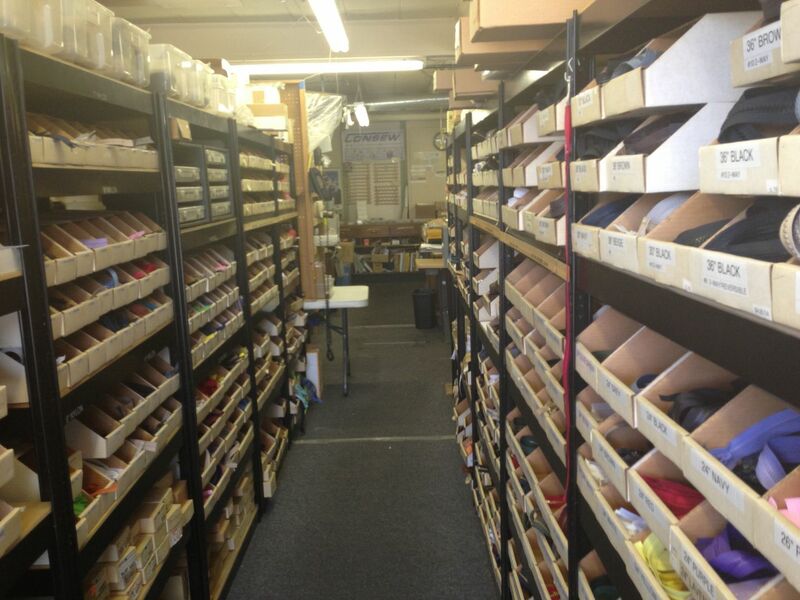 They are a industrial machine supplier and repair shop in addition to a supplier for dry cleaning companies. My professional seamstress friend Lilya told me about them. 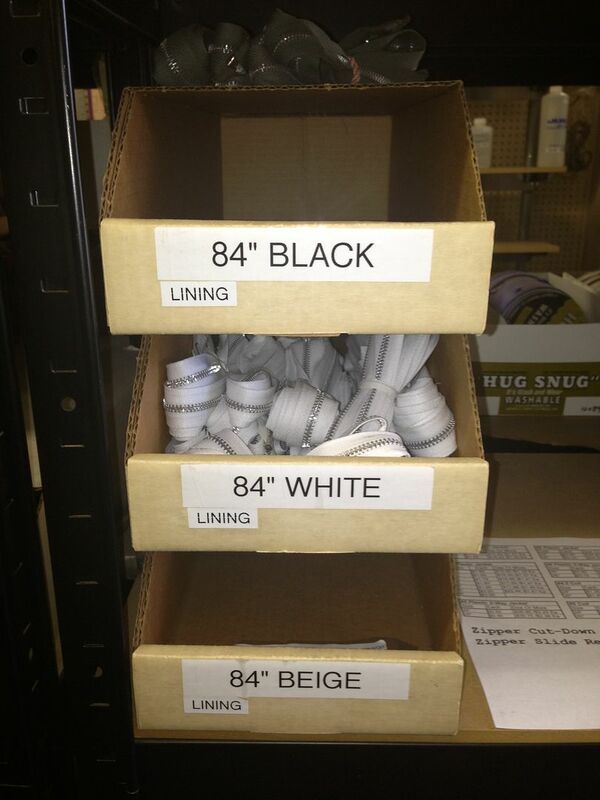 What I didn’t know when I went today to drop off my blind hemmer, is that they have a STORE FULL OF SEWING SUPPLIES. You won’t know this from their website because it’s essentially terrible. But, here’s what I found. Gah. I’m almost scared to tell y’all because what if you buy ALL THE STUFF I want to own? But, I have to put this out there to keep the good things coming. I wasn’t prepared for all this goodness so pics are a little not great from my cell phone. How great is the BF Goodrich belt system? You’re supposed to use it to see what size belt you have. Right. I got a new belt for my Singer Featherweight 221 for $6.95. That’s a dollar less than online and no shipping. 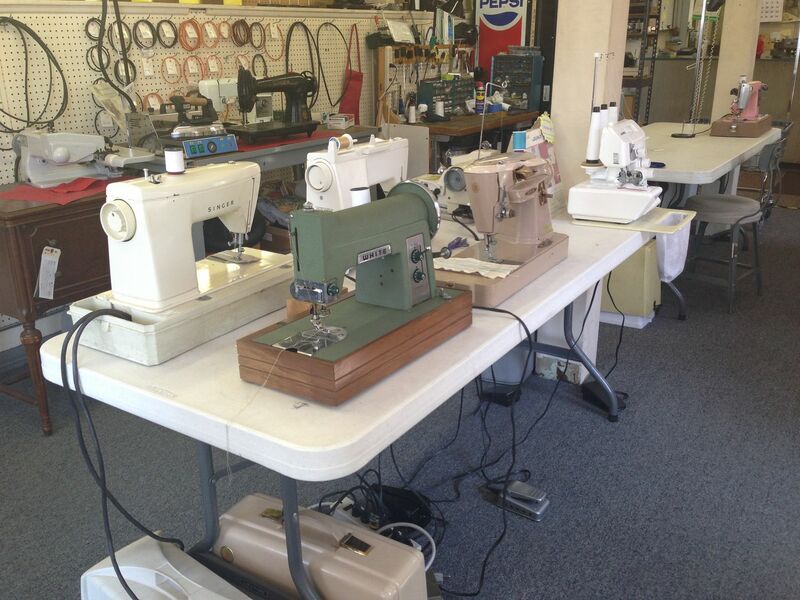 So, outside of the industrial machines for testing (button tacker, button holer, blind hemmers, cover stitches, sergers, straight stitch Consews and Jukis) they have a slew of older home sewing machines left behind by customers for sale. After the machines gets to the really really good stuff. First, BUTTONS!! 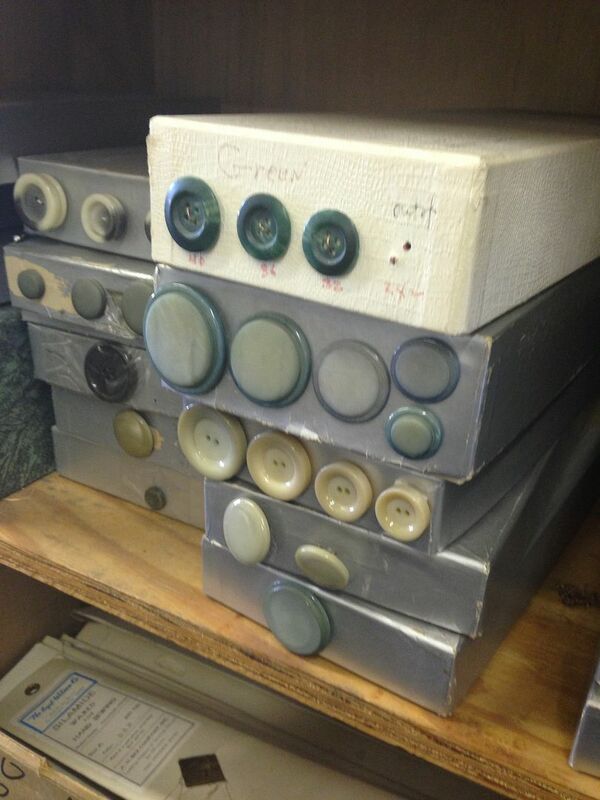 I will never complain about the price of buttons again as long as I have access to this wall of buttons. 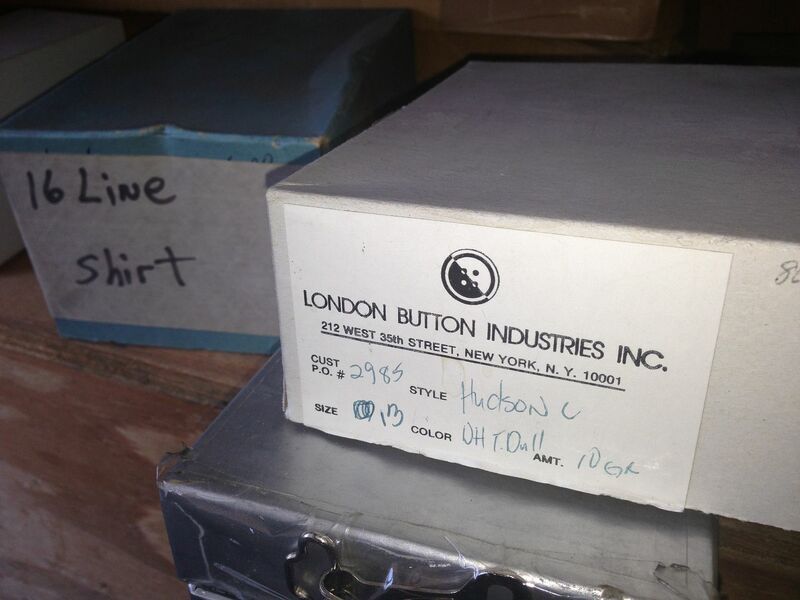 Plain shirt buttons, fancy buttons, colored buttons. All sizes of the same style button. And these were like a few dollars for a dozen. A DOZEN. Next awesome thing? Zippers. Zippers. 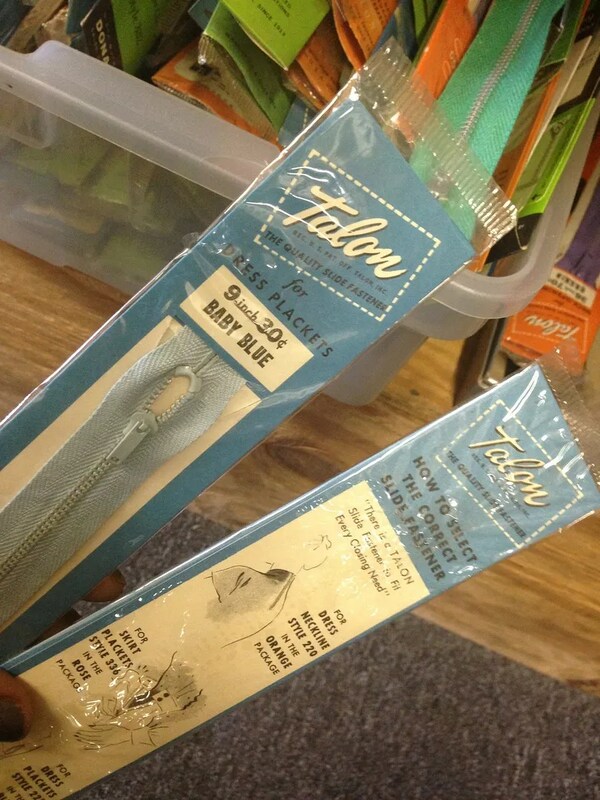 22 inch invisible zippers for a $1.25. 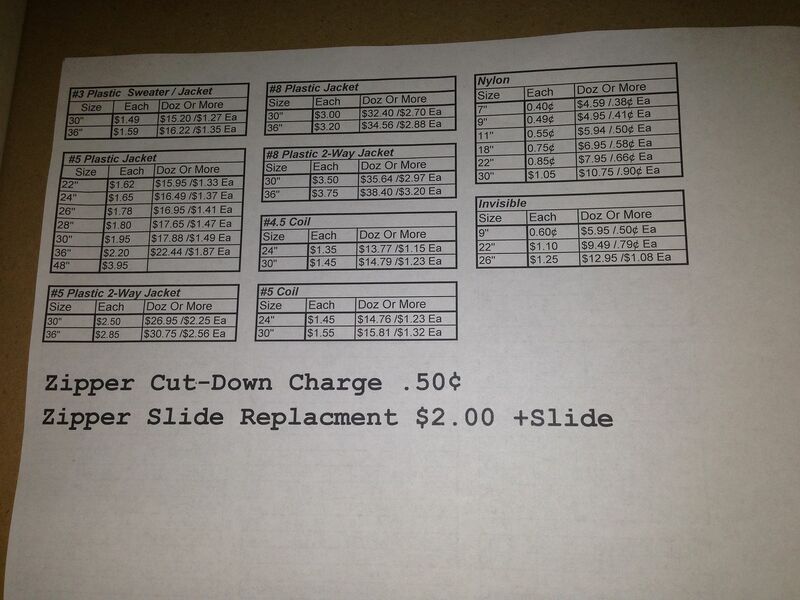 And zipper shortening for 50 cents. Yo! 50 cents! 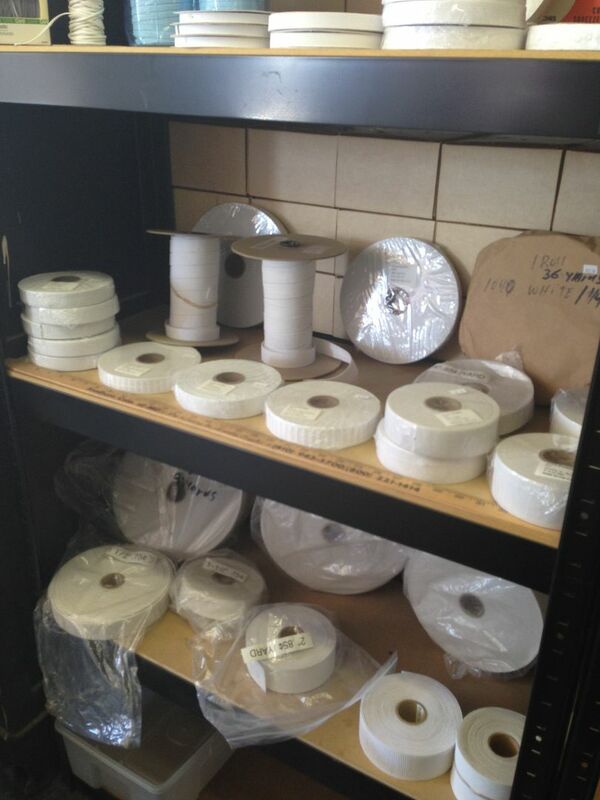 I almost laughed when I saw the zippers for coat linings, sleeping bags and coveralls. I have gone to New York to buy sleeping bag and lining zippers. I coulda just driven 5.5 miles and gotten them myself! That said, living in the City, anything more than two miles away seems like the end of the Earth. Also, I might have to buy this pressing horse (the one on the bottom). I don’t know what took me so long to come out here!!!! 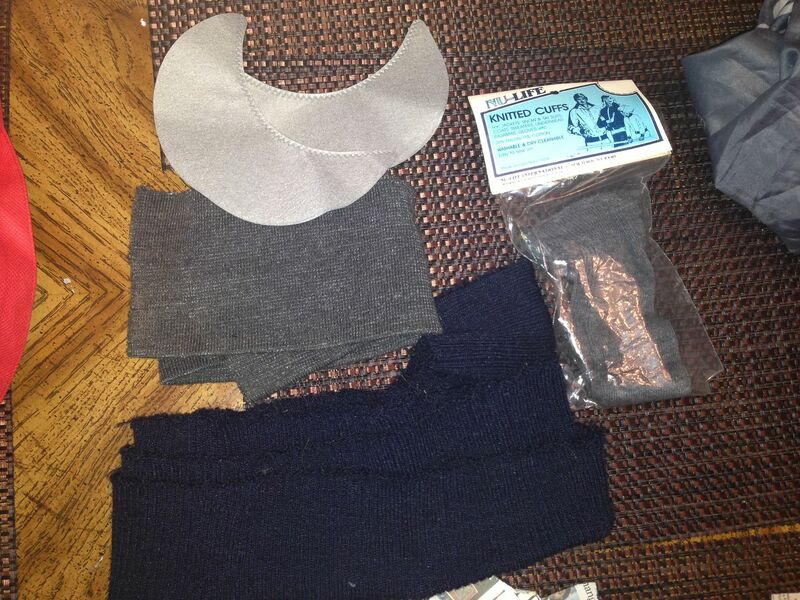 Here’s what I came home with: Sweat guards for my suit jackets and blouses (.75 cents), knitted cuffs and ribbing to alter my sweatshirt dress, and ribbing for my yet-to-be-sewn denim bomber jacket. That jacket ribbing was THREE DOLLARS. 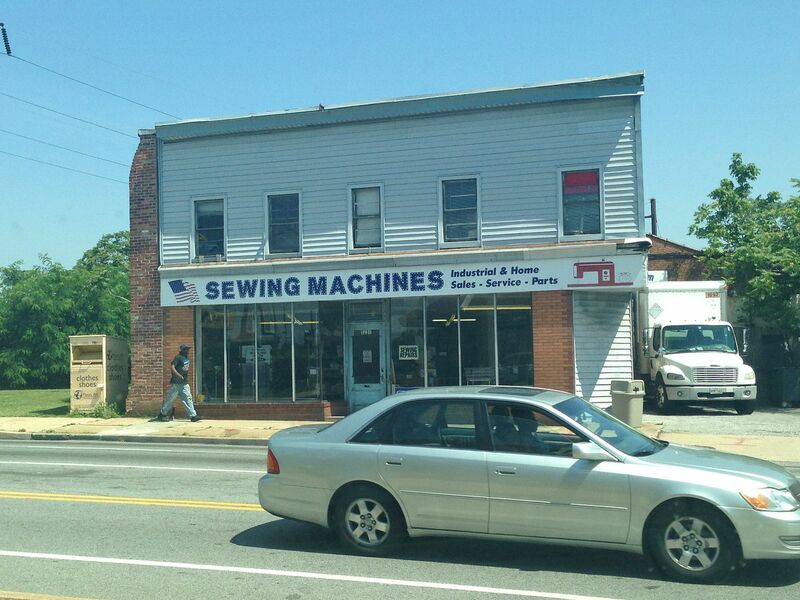 So, that’s Stadham Sewing over on the west side of Baltimore. Please go. Just don’t tell them how great their prices are. M’kay? Thanks. Wow! You found a priceless treasure. 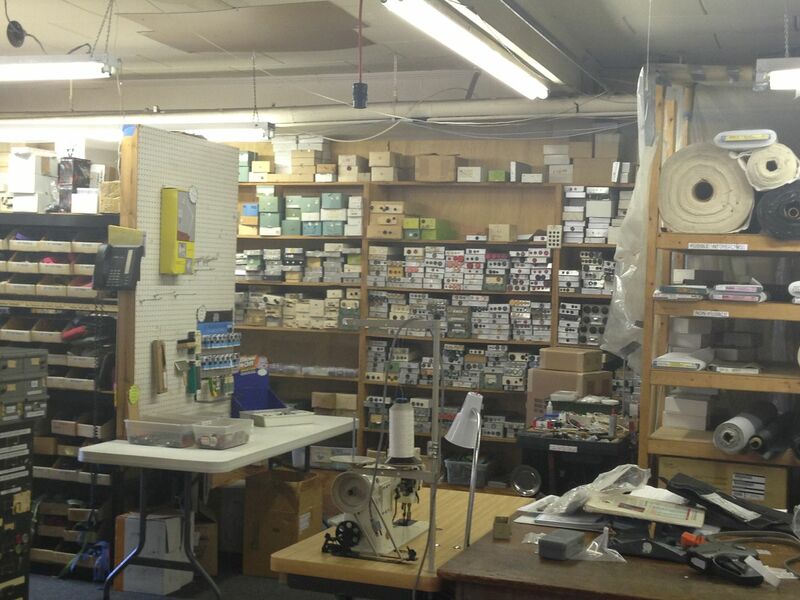 It’s kind of like an old-fashioned general store, only just for sewing stuff. You’ll be dreaming about this tonight! Yes, that’s how it used to be (and still is in many parts of the world). It’s always amazing and wonderful to find a hidden treasure a mere 5.5 miles from your house! I wish it were closer to Scranton! wow that place looks fantastic, I would have dropped so much $$$ there. what a great resource. Oh My Goodness! I am so jealous. If there is something like there anywhere close to me, I certainly don’t know about it. Now your imagination will not be limited by supplies. 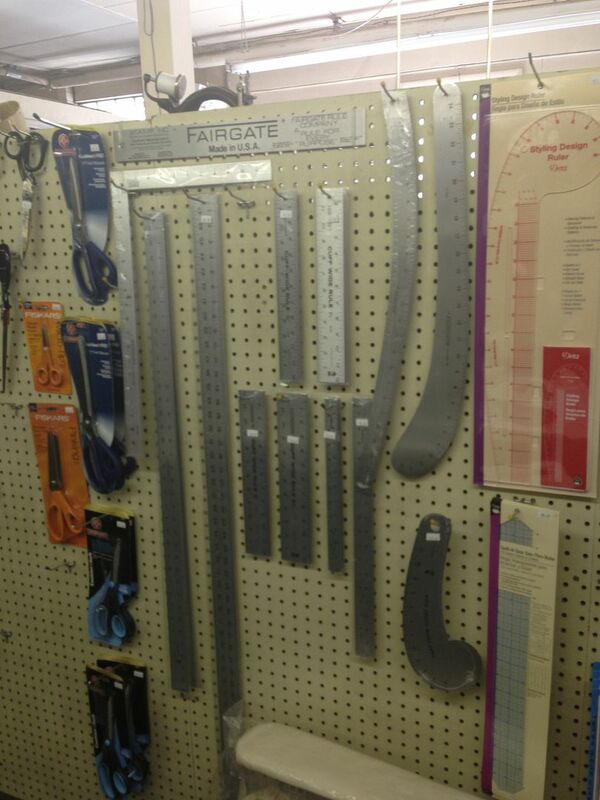 Looks like you can find just about anything you need. 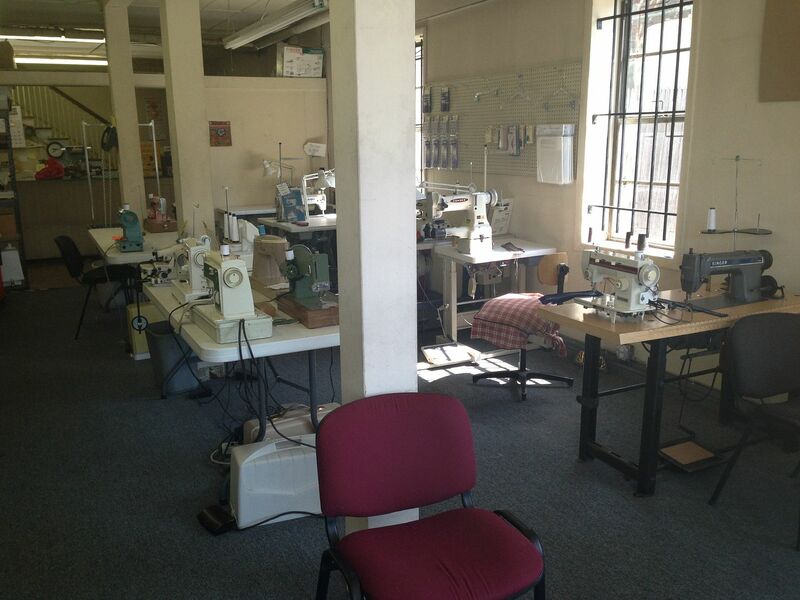 that brown Singer on the table of sewing machines is the model I sewed on as a teenager, my Mother still has it I think. You twist the lever to set the stitch length and then flip it up when you want to backstitch, such a reliable machine, loved it! 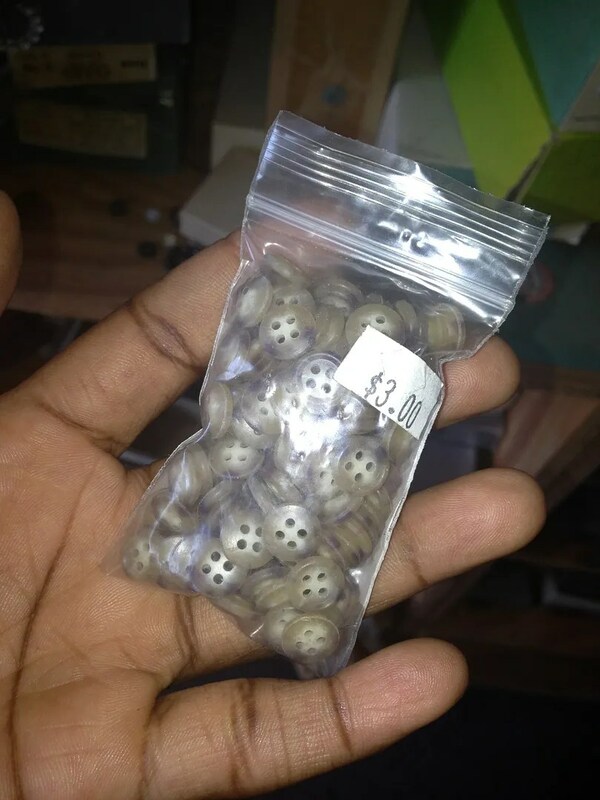 That shop is amazing, glad you’ve got such a great supply place so near! Thank you for sharing this with us! 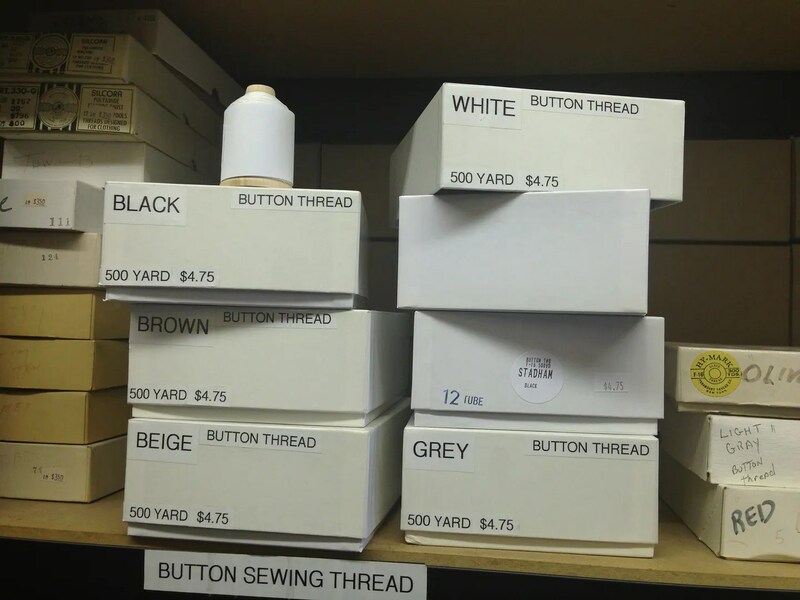 I’m in Northern Virginia, and I haven’t found any great sewing repair places here, so will definitely consider Stadham Sewing, especially since I have friends west of Baltimore! WHAAAAT??! I wish we had a place like this locally. It looks AMAZING. Oh my! 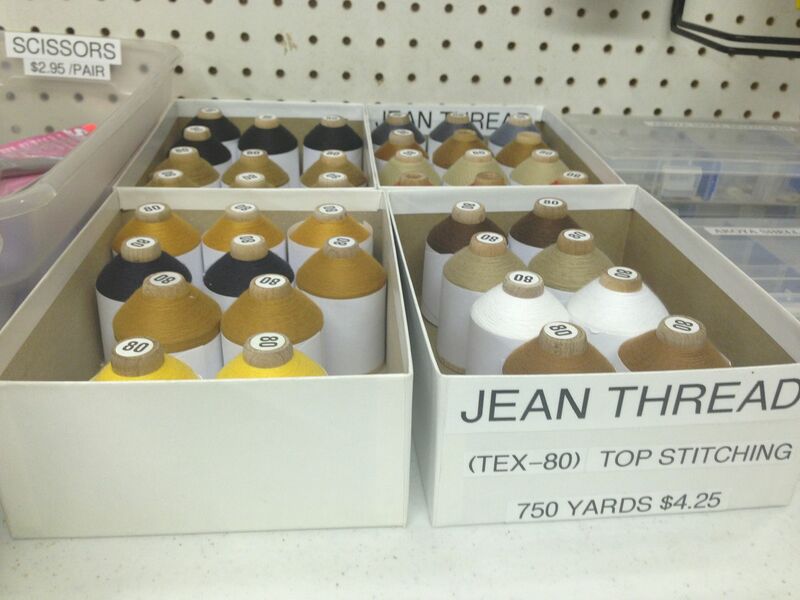 Now I know where my next sewing excursion will be! Whoa! What a great find! I’m sending this post to my sewing sister that lives in Baltimore! Thanks for sharing! This is where I took my vintage sewing machine to be repaired. Everybody is so helpful. It is a great resource. 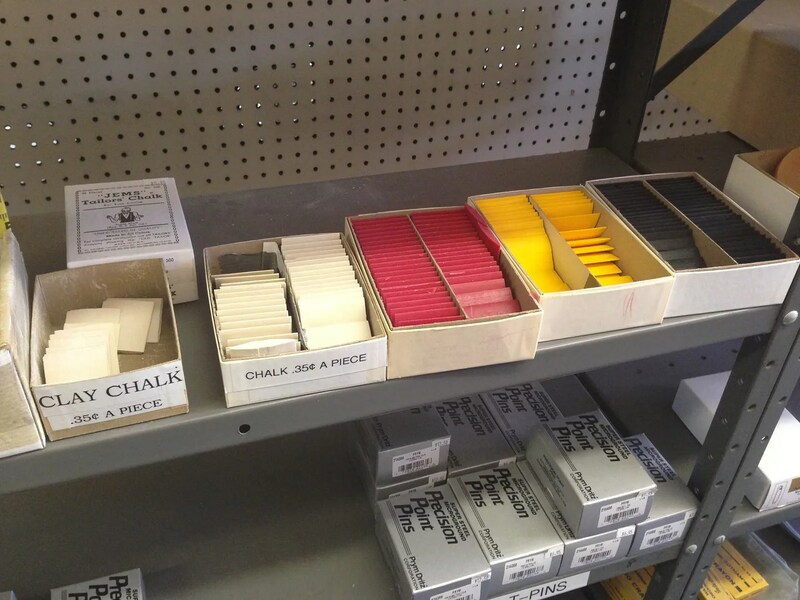 I bought the resin that I needed for my gravity feed iron there. My hubby (who does all the work on our cars) pulled apart an old sewing machine that his sister had, and when I asked how he knew what he was doing he told me “A motor is a motor. They’re all basically the same in how they work” I’m sure there are differences in knowing about thread tension etc, but if it’s the motor not working then apparently it’s easy to figure out! What a treasure trove you found! I’m so jealous. Whaaaa?! Get outta town! I had no idea that this treasure was in town! I’m less then 6 miles from this place! Must go soon. Thanks for sharing! 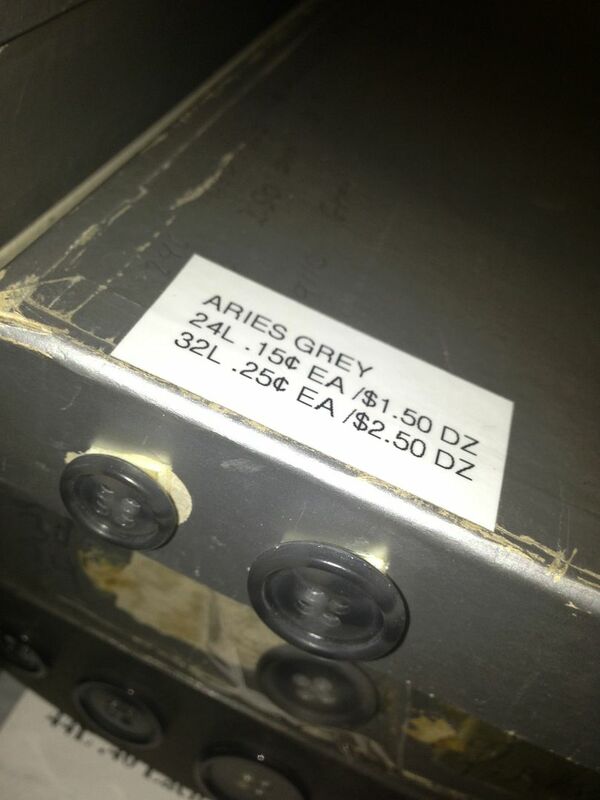 I will have to visit the next time I visit my brother and his family in Baltimore…what a great find!!! Thanks for sharing it with us…. I should ask to borrow and get it scanned. 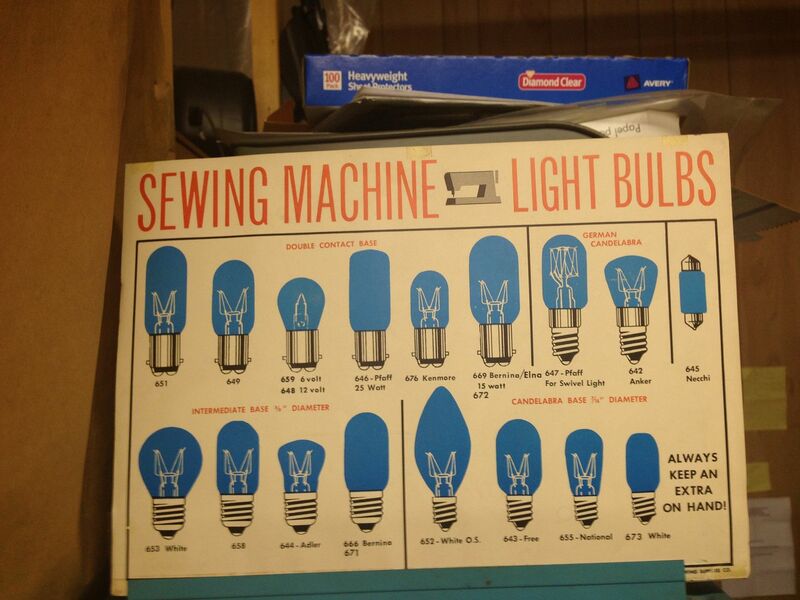 Wouldn’t it be terrific in a sewing room? HOLY SMOKES!! That’s it, I’m getting in the car tonight! Seriously-I gotta tell my friend in DC about this and send her a list, it doesn’t look like we’re gonna get to Maryland any time soon. Thank you SO MUCH for telling us about this place! OMG! Makes me want to MOVE to Baltimore! Thanks for spreading the news. I won’t tell them a thing about their prices, either. Squeeee!!! I had no idea! I love you, man! Looks like you hit the mother lode of sewing supplies! Like a mini Wawak in your neighborhood…WOW! Thanks for the tour! Omg! I’m drooling right now! I could do sooo much damage there! You are one lucky girl! This is on my to-visit list next time I’m in Baltimore. So, So, SOOOO jealous. What a treasure trove of a store. Love the pink brother. 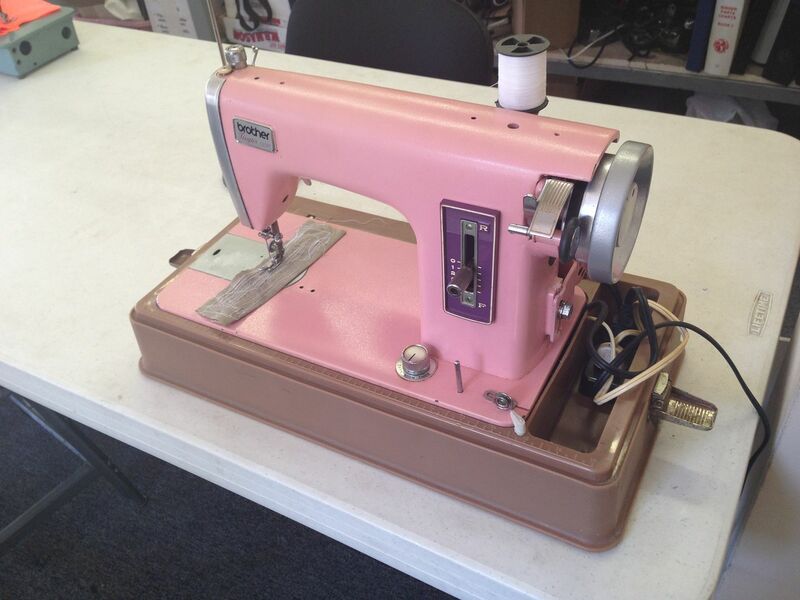 When I grow up and marry rich, I want a pink sewing machine just for fun! How much is the air fare to Baltimore from the UK? I want to go there and buy up the stock! Wow. 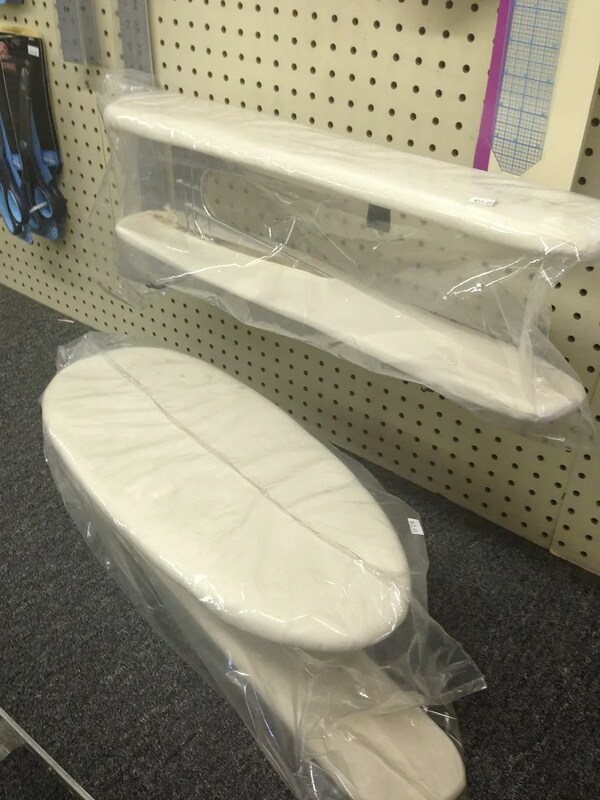 I live in a suburb of Chicago, in a prosperous town of well over 100,000 people and we do not have ONE decent fabric store, or anything-else-sewing store, here. So cool for you! Wow! That’s all – just WOW! You are making this up, right? There can’t possibly be a shop like that. Those photos are pure pain, I am crying. If you lived Down Under you would understand why. I’m so glad I read this post. I live in northern Virginia and I’ve been looking for an industrial sewing machine repair shop closer than Philly. 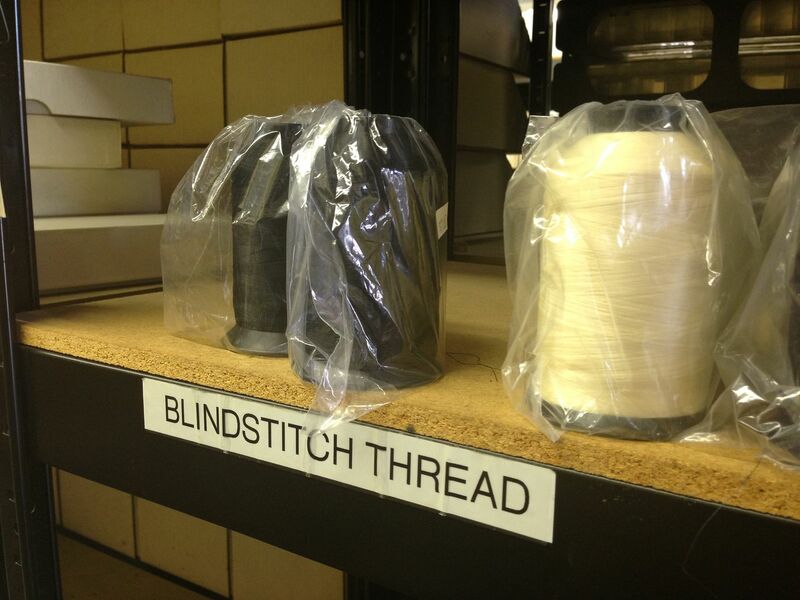 I have an industrial cover stitch machine which I also purchased on eBay that needs cleaning and repair. I’ll be headed to Baltimore this Friday to drop off my machine. 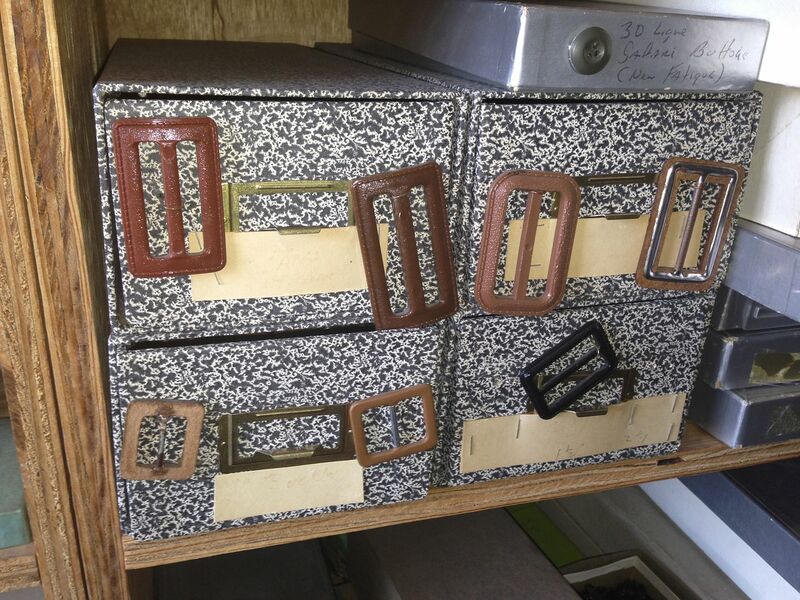 Friday can’t get here soon enough–I can’t wait to see what little goodies this shop has. Thanks for the post. Good to know! I hear they do ‘home visits’ and deliveries in the area. A cover stitch is next on my list! This is great information to know. It’s about an hour drive but doable. Thanks!! You are so BAD!!!! Miss Celie, you made me crazy to go to Amsterdam and now you are tempting me to go to this place. PS have you checked out the “Retro” patterns in the Burda book?? I’m so psyched to read this! 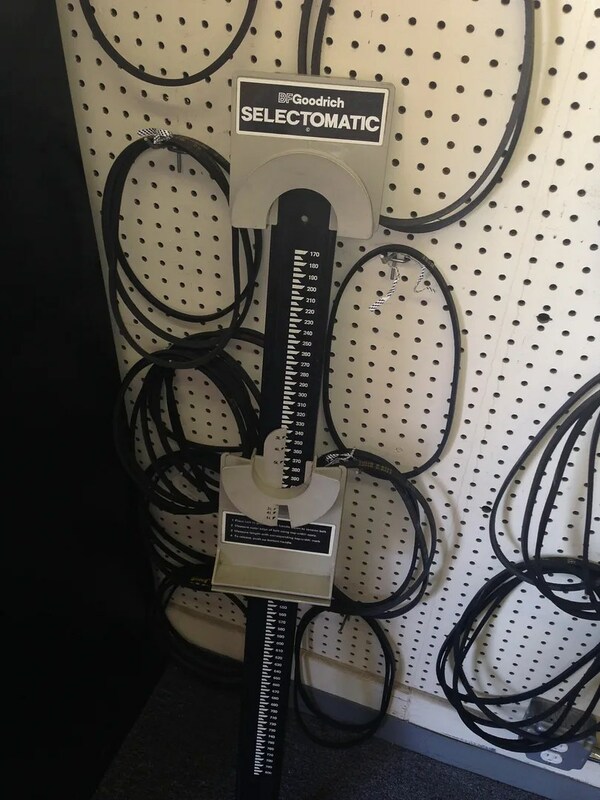 I look at their website every once in awhile when I do my annual ‘where are my closest Juki dealers’ search but I never went since they only have the industrials. But this place is definitely on my must visit list now. Um, when are we going here? Because this is awesome. I live in Baltimore and have a 45-year-old Singer. Now I know where to go when she needs work! Thank you, Miss Celie! I am completely green with envy. I need machine service, but I live in New Mexico, that’s why! Whaaaaaa. Amazing! I can’t believe I have missed this place all these years. This fellow Baltimorean thanks you!! 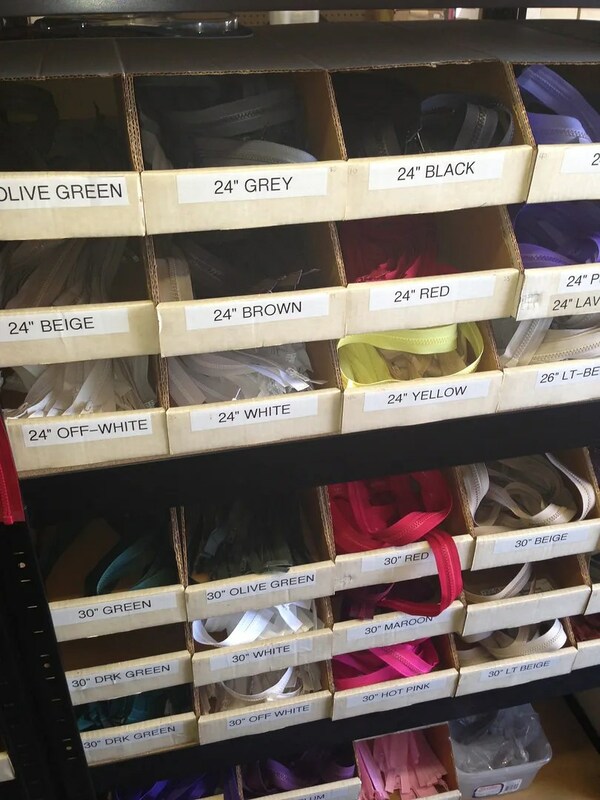 Renee, there’s a place here in Northern Virginia where the zippers, all colors/sizes are $.25 each. I bought sequined fabric embroidered with tiny lace floral appliques and beads, for $3/yrd and made a dress in two hours before an event. (Very simple dress.) You need to venture south for a visit… to Van’s in the Seven Corners area of Falls Church. What would the world be without shops like this AND someone who knows how to repair amazing functional old machines! What a find! 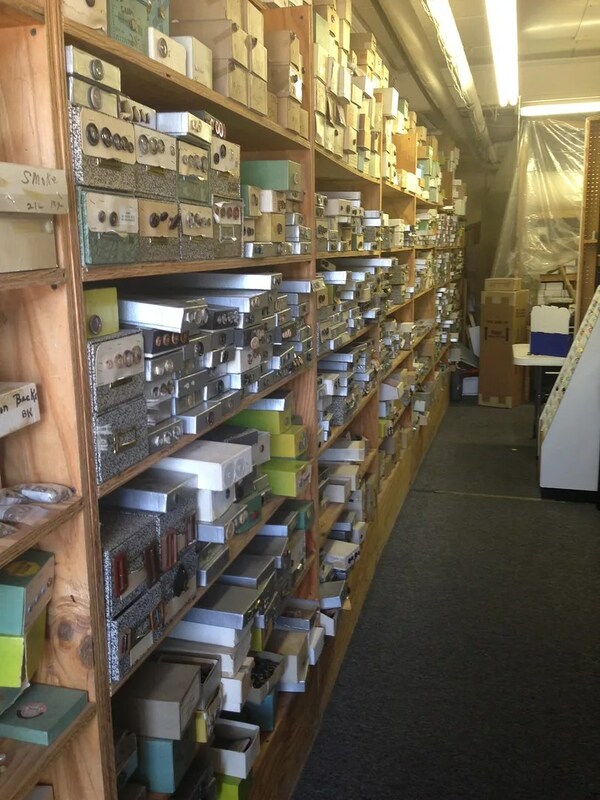 This is the kind of store I need for sewing supplies and to have my machine repaired. Can you please provide me with the address and phone number. This store reminds me of the store that was once located in downtown Baltimore.